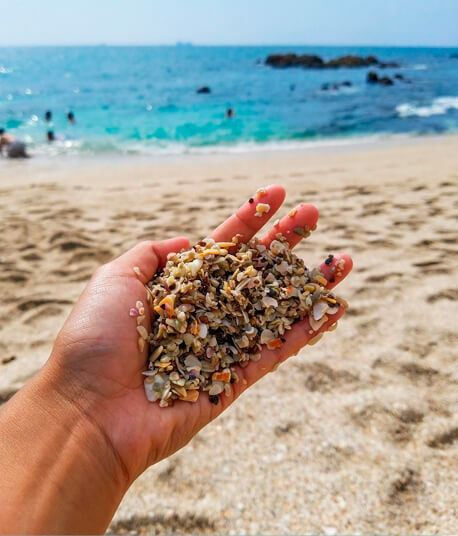 Considered one of Costa Rica’s most exotic beaches… literally instead of sand, it is made up of millions of the smallest shells that hug each other to form one of the most special destinations. It is located on the golden coast, in the north of Guanacaste, and is also close to Playa Brasilito, Playa Flamingo and Tamarindo. The climate is practically perfect all year round, with more than 12 hours of light between December and April. Your water has an ideal temperature for nothing or snorkeling. The best part: it has many camping areas under the stars.